Not to rain on your summer parade, but here are a few facts that should wake you up from your margarita-and-sun-induced coma, forcing you to take a big whiff of sunscreen: The incidence of melanoma (a deadly form of skin cancer) isn't going anywhere — an estimated 73,870 new cases of invasive melanoma will be diagnosed in the US this year. If that doesn't scare you, this will: 80 percent of the aging that dermatologists see is due to excess sun exposure, since it can break down the collagen and elastin in your skin and cause more wrinkles. But enough of the doom and gloom — let's talk safe sun. Luckily, there are a slew of facial skin care products with SPF, and our readers have put them to the test. Shelve bad memories of your parents smearing thick, white, pasty zinc oxide on your nose and toss the idea that you can't wear sunscreen on your face if you have oily skin — this is the new generation of facial sunscreens. These products don't leave a white film on the skin, won't cause breakouts or an overly shiny face and can be applied seamlessly over or under makeup. 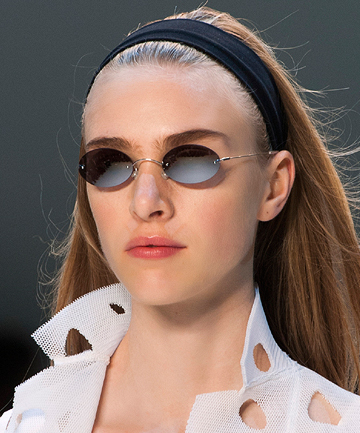 See the best sunscreens for your face now. —Apply a shot glass full of sunscreen to cover your whole body. (At least SPF 15 daily, and for prolonged sun exposure, use a water resistant SPF 30 formula). Reapply every one to two hours while outdoors, says Heidi Waldorf, M.D. of Waldorf Dermatology & Laser Associates in Nanuet, New York. —Use products containing zinc or avobenzone, which will help block UVA light so you don't accumulate more UV damage, says Katie Rodan, co-founder of Proactiv and Rodan + Fields Dermatologists. —If you're spending a lot of time outside — especially during peak sun hours — wear a large brimmed hat (in addition to sunscreen) to shield your face and hair from sun damage. If you're worried that all this sunscreen will keep you from your bronzy summer glow, you can reach for one of these top-rated bronzers. or self-tanners. And without further ado, discover our readers' top-rated facial sunscreens. I was very surprised to not see Loreal's youth code on this list? I have been using Loreal's sunscreen for the face for the past 15 years and I am over 50 and have no sunspots and great looking skin! And i live in the sun:)! I've used the Shiseido sunscreen and it's great. It smells lovely, not annoying or gross like most sunscreen and really keeps my skin protected from the sun. I had soft, moisturized skin while having a great day outside! A few of these are labeled "discontinued". I would like to see more drugstore options.. I love sunscreen and shop for it often. I will try out some of these options. My favorite sunscreen is Obagi. They have some really good recommendations here, I've looked up ingredients on these because I don't trust everything I read and they got some good picks. The powder brush for PTR is good for kids who hate the lotions stuff, I by these for my girls, but I still make them put lotions sunscreen on and throughout the day the powder is better for them to keep applying it every couple of hours. La Roche and skinceuticals are also very good products.